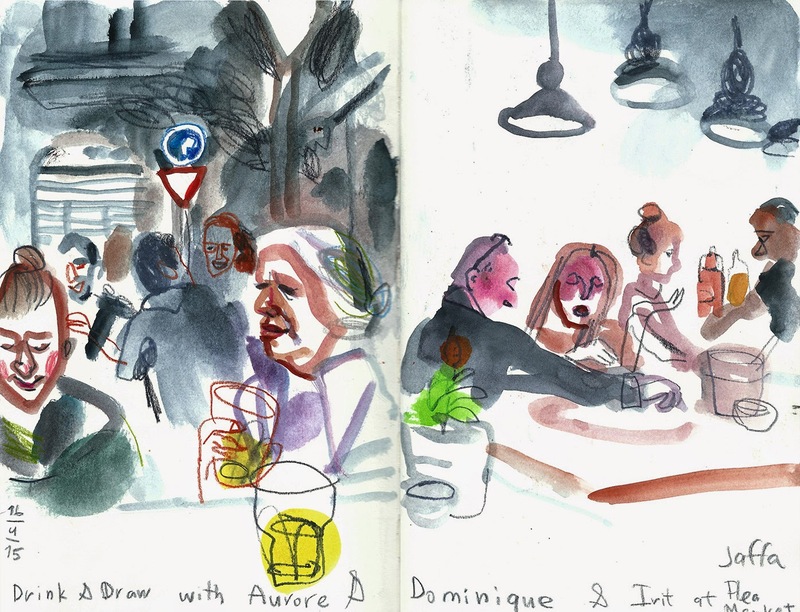 ultraMARIN: Going to sketch the people of Lisbon! Everything is almost ready for my trip to Lisbon, I'm very excited toward this small journey. 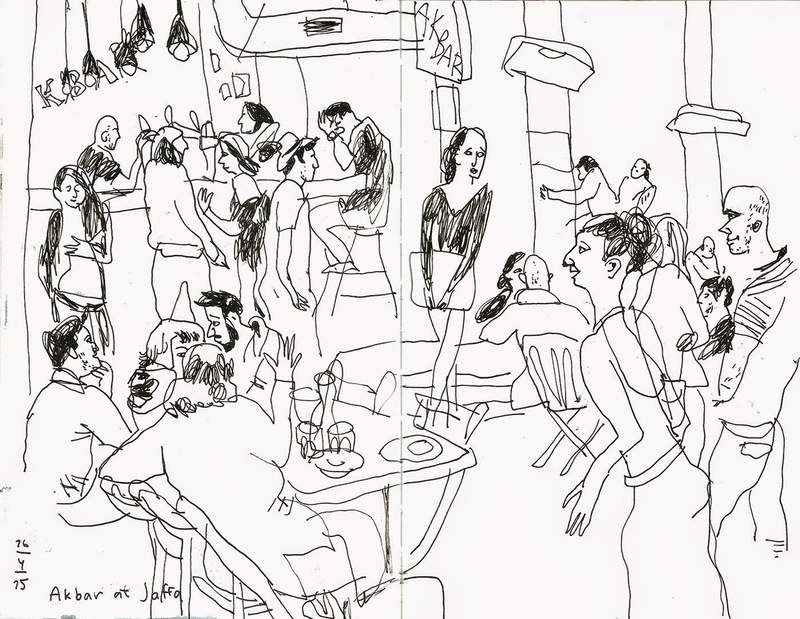 I got an invitation from a group of Portuguese fellow sketchers to give there a workshop, which I happily received. I'm excited to come back to the city connected to my many great memories - the place I participated for the first time in USk Symposium, met in person so many virtual friends! And the beautiful city by itself, I fell in love with from the first site. And, of course, my workshop - we're going to sketch on the anniversary day of the Portugal revolution, to capture the "heroes" of the city - its citizens! As you can guess, the workshop will be about sketching people - subject I love the most. We'll do some fun and loosing up exercises and I hope that we will enjoy the process, that's way beautiful results will come as well! 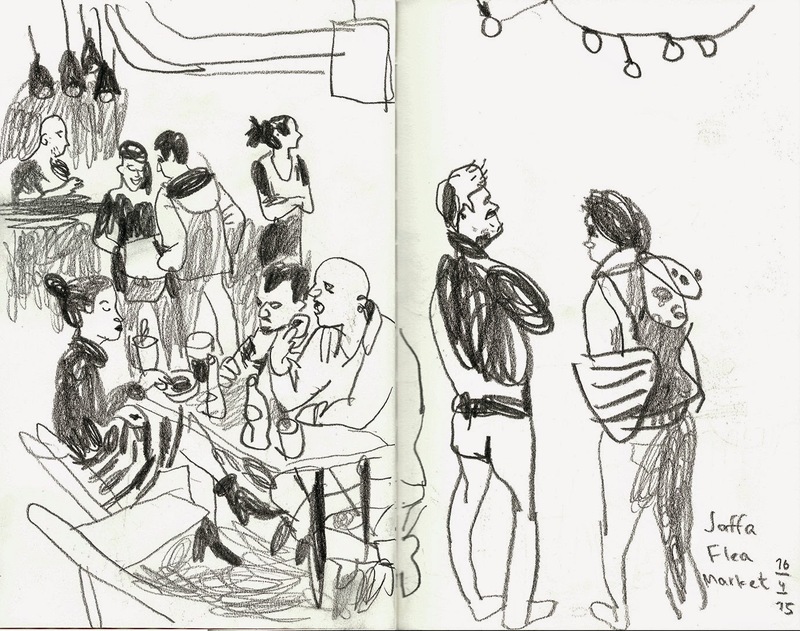 Here are some sketches I did during my Drink&Draw meeting with my friend Aurore at Jaffa's Flea market last Thursday evening - the perfect place for capturing people and their stories! 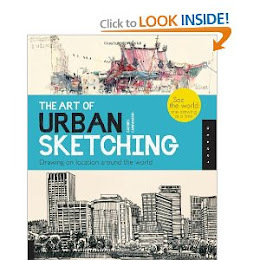 Looking forward to sketching the people of Lisbon!